The currently called Falkland Islands are an archipelago of 12200 km2, a little smaller than Flanders, located 500 kilometres east from the tip of South America. They are mainly known for the Falkland War between the Argentina and The United Kingdom. This website will map the history of the conflict chronologically. The currently called Falkland Islands are an archipelago of 12200 km2, a little smaller than Flanders, located 500 kilometres east from the tip of South America. They are mainly known for the Falkland War between the Argentina and The United Kingdom. This website will map the history of the conflict chronologically. In 1494, the Treaty of Tordesillas is signed by Spain and Portugal. To this day, it continues to play a role in the dispute over the sovereignty of the Falkland Islands. Spain and Portugal are two of the main maritime powers of the 15th century. Their conquests extend to Africa, Guinea and the Canary Islands. After Christopher Columbus’ discovery of the New World in 1492, it is soon clear that conflicts will arise over the control of these ‘new’ territories. Pope Alexander VI presides over negotiations between Portugal and Spain, knowing that successful conquests by both of these kingdoms will promote the spread of Catholicism throughout the world. King Ferdinand II of Aragon, Queen Isabella I of Castile and King John II of Portugal agree to divide the globe with a straight line running from north to south, from the Arctic pole to the Antarctic pole. All lands on the east side of the line will belong to Portugal, including parts of what is now Brazil, Africa and Asia, and all lands to the west side will belong to Spain, including the largely unexplored parts of South America. Although many other European maritime powers ignore the Treaty of Tordesillas and colonize parts of the New World as well, Portugal and Spain dominate South America and will have the greatest impact on the continent. Even though the Falkland Islands are yet to be discovered in 1494, they are located on the west side of the meridian drawn in the Treaty of Tordesillas, which places them in the territory claimed by Spain. Sebald de Weert is often credited with the discovery of the Falkland Islands. He spots them accidentally on a journey filled with disaster and mythical encounters. After the discovery of the New World, many navigators, now assuming that the world is round, begin exploring new maritime routes. In 1598, De Weert, a Dutch captain, sets off with five ships, hoping to find a new route to the Dutch East Indies, now known as the Moluccas, by passing through the Straight of Magellan. On the way to Asia, the crews suffer breakouts of scurvy and fever and De Weert loses two ships. His three remaining ships, Faith, Good Tiding and Love, each in distress, encounter Olivier van Noort’s fleet as Van Noort is on his way to become the first Dutchman to circumnavigate the world. They attempt to join Van Noort’s fleet to sail up the Pacific Ocean together, but Van Noort’s ships prove to be too fast and efficient. In the end, only Love will make it to Asia. De Weert’s ship Faith is blown back into the Straight of Magellan, where the starving crew plans to take on penguins for rations. For De Weert, stepping ashore is an adventure filled with many risks. 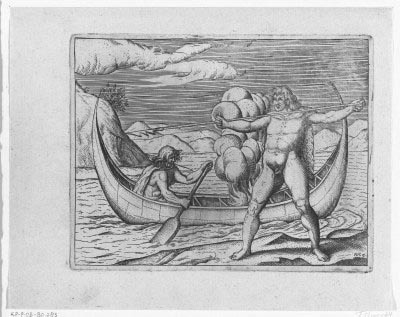 In his log books, he relates encounters with the legendary ‘Patagonian Giants’, describing them as bloodthirsty savages over three metres tall, who feed on raw meet and approach De Weert’s men with spears, standing naked in their canoes. The crew on the Faith decides to leave the straight as quickly as possible. On their way back, they accidentally encounter three unknown islands and are tempted to land when they spot penguins on shore. 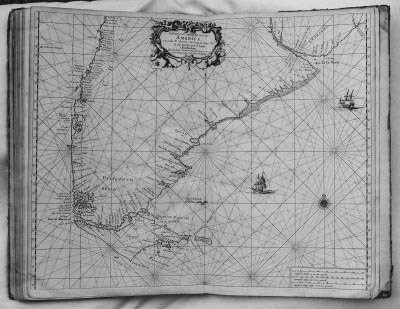 Unfortunately, due to the direction of the wind, De Weert is unable to reach the islands, although he manages to plot them as small dots on a map. In 1603, during another expedition, De Weert is killed while in the company of an East-Indian king. Now he is mainly remembered for drawing those three dots that will be called the Sebald Islands centuries later and are known today as the Falkland Islands. Around the time of the ‘discovery’ of the New World, charting and mapping are still challenging tasks prone to error. 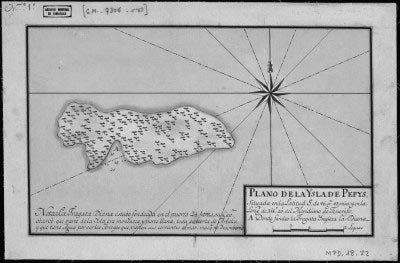 In 1683, William Ambrose Cowley thinks he has discovered a new island, when in fact he has simply encountered the previously charted Falkland Islands. 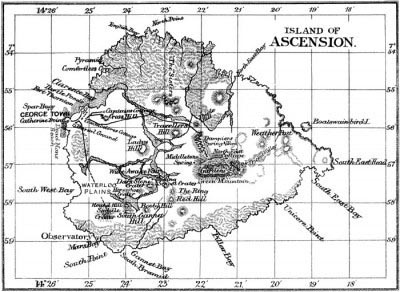 He calls his ‘discovery’ Pepys Island, which now can be counted among the world’s approximately 200 phantom islands. 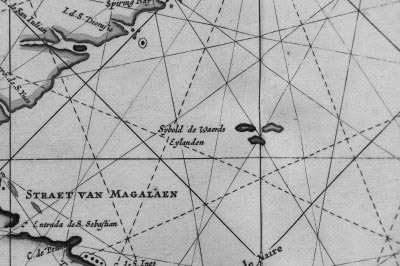 The discovery of phantom islands is particularly common during the 17th and 18th centuries. 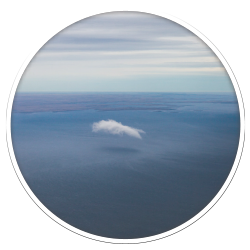 To this day, many globes and other cartographic relics, especially, for example, in travel agency offices, still contain these ghost islands. The first (and last) sighting of Pepys Island happens in December, 1683, when buccaneer William Ambrose Cowley, saw Land; the same being an Island not before known’. Aside from ‘a large number of birds the size of small ducks’ and seals, ‘which rise out of the water and blaff like a Dog’ [sic], it turns out to be uninhabited. He names the island after Samuel Pepys, Secretary to the Admiralty, without leaving his ship, Bachelor’s Delight, and then sails on to discover the Galápagos Islands a couple of months later. After Cowley’s encounter with Pepys Island, several attempts are made to locate the island again. Beginning in 1740, over eight different ships search unsuccessfully for the phantom island. One of these missions is particularly significant, however; Commodore John Byron’s 1764 journey results in Britain’s annexation of the Falkland Islands. 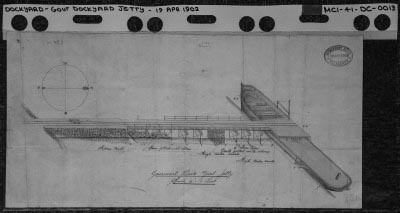 All further attempts to locate Pepys Island lead to disappointment and around 1800 it is removed from nautical maps. Nevertheless, one fierce proponent of the island’s existence remains. In 1837, Pedro de Angelis publishes a collection of maps and a historical background of Pepys Island, attracting some attention in Britain. If the island in fact does exist, the British believe it should belong to them. 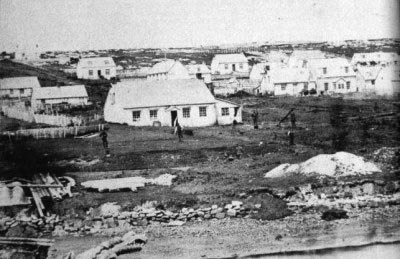 Port Louis, the first settlement on the Falkland Islands, is initially founded as a refuge for French Acadians who have recently been expelled from North America. The journey of the French colonists begins in 1604 when they settle along what is now the eastern coasts of Canada and the United States. By 1750, the colony, named Acadia, includes over 10,000 citizens. The area in which the colony is based is alternately under British or French rule until 1749, when the British take control. When the Acadians refuse to fight in the French and Indian War of 1754, the British Governor Charles Lawrence and the Nova Scotia Council decide to deport the Acadians and burn down their settlements. In total, at least 11,500 Acadians are deported. Thousands of them die during the ensuing turmoil. On the way to France, two ships, the Duke William and the Violet, sink, resulting in approximately 700 deaths. In April 1759, 1,100 Acadians are transported to San Malo. After arriving in port, many of the survivors die of illnesses caused by the conditions on board the ships. In 1763, admiral and explorer Louis Antoine de Bougainville proposes a new location for the refugees: the Falkland Islands. Purportedly, this remote location will protect the Acadians from further harassment and allow them to build a new, peaceful society. He secretly sets off with a group of 150 Acadians and sails more than 12,300 kilometers to found the first settlement on the islands. He names the new settlement Port Louis, after King Louis XV, and the islands Îles Malouines, after the city the Acadians just came from, Saint Malo. 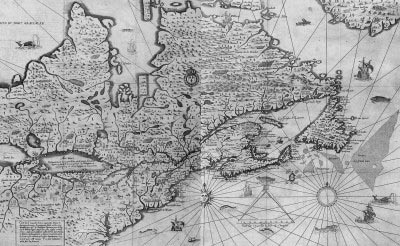 In total, the Acadians have travelled 17,000 kilometers to reach their new Acadia. In 1765, the British found a settlement named Port Egmont on Saunders Island in the Falklands unawares of Port Louis, the recently established French settlement on the other side of the archipelago. This accident becomes the basis of territorial disputes over the Falklands, which remain unresolved to this day. In 1765, Commodore Lord Byron, grandfather of the eponymous famous poet, sets out for Pepys Island with his ship, the HMS Dolphin, and the frigate Tamar. 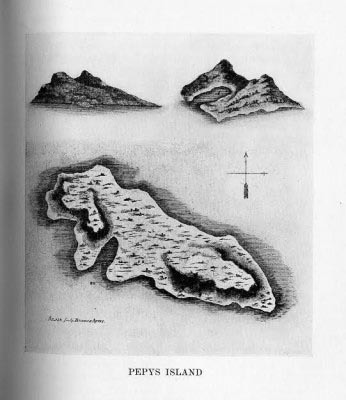 Locating the Island remains important for the honour of Samuel Pepys even though there are many doubts about the island’s very existence. Because the trip would potentially create tensions with Spain, Commodore Byron and the Earl of Egmont, First Lord of the Admiralty, keep their intended destination a secret, pretending to sail to the East Indies. For a large part of the journey, even the crew does not know their true destination. Byron eventually sails on to the Falkland Islands after he is unable to locate the phantom island. Recognizing the strategic location of the Falklands, Byron claims the territory under the authority of King George III and sends a message back home with the news. He founds the first settlement on Saunders Island and prepares vegetable gardens awaiting the first settlers. Byron calls it the finest natural harbour in the world, with good soil and protection from wind. 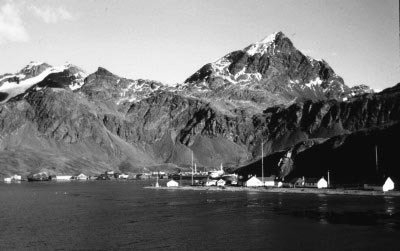 Within a year, under leadership of captain John McBride, the population of this settlement, now called Port Egmont, grows to approximately 100. Sheep and goats are imported and wharfs, huts, gardens, storehouses, a fort and a residence house are built. One ship is always present to protect the settlers, while other ships scan the coasts of Patagonia for Pepys Island. After a year, the English discover a bottle with a French note in it and realize that on the other side of the archipelago another settlement has been built. 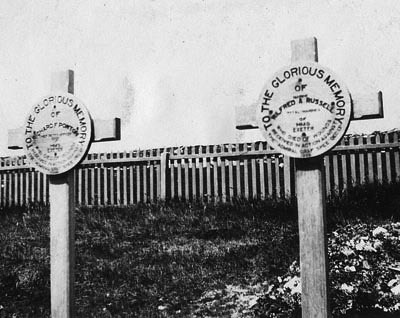 Although the British abandon Port Egmont under the threat of war during the 1770 Falklands Crisis, they leave a plaque restating their claim to the territory. 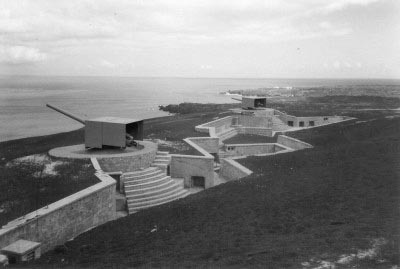 The Spanish then use the settlement as a camp for 80 to 120 prisoners over the next decade, afterwards leaving Port Egmont abandoned. Saunders Islands is now home to approximately seven people. Ruins of Port Egmont can still be seen. In 1765, colonizers from France and England begin founding settlements on opposite sides of the Falkland Islands, unaware of each other. In 1766, a British officer finds a bottle on West Falkland with a French note in it. What follows is a crisis between England, France and Spain. After the discovery of the bottle, the two parties exchange notes on numerous occasions, protesting each other's presence. This situation leads to a non-violent impasse. 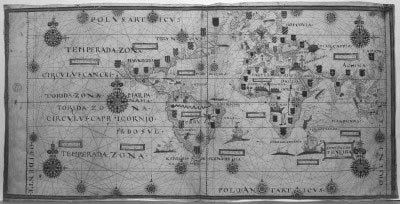 Things become more complicated, however, when Spain hears that their ally France has a secret colony on what would be Spanish land under the Treaty of Tordesillas, a treaty that gives Spain the exclusive right to the whole of South America west of the 46th meridian. 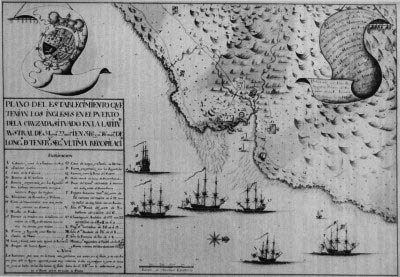 In the end, the two allies come to a friendly agreement and the French settlement known as Port Louis is handed over to the Spaniards, who rename it Puerto Soledad. 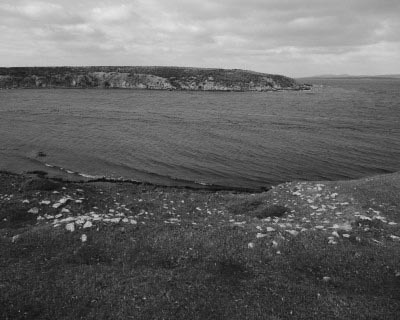 The barren islands are not a popular location, however, for the warm-blooded settlers; a priest living there at the time, named Father Sebastian Villanove, writes, ‘I tarry this unhappy desert, suffering everything for the love of God’. Notwithstanding their disdain for the Malvinas, Spain wants to drive the English out of Port Egmont. 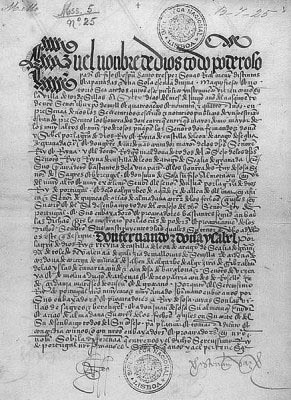 The government in Madrid sends ambiguous instructions to Don Francisco P. Bucarelli, the governor of Buenos Aires, for dealing with the English colonizers. He wrongly interprets them as an order to take possession of Port Egmont and sends five frigates carrying some 1,600 men. Peter Farrow of Sparrow, a deserting British sailor, leads them to Port Egmont. The English are greatly offended by this move and although they do not regard the Falklands to be of any real importance, the parliament, especially the opposition, demands reprisals. Although England does not hold any sovereign right to the Falkland Islands under the treaty of the Tordesillas, developments in international law strengthen the British claim to the islands. As international diplomatic tensions over the remote archipelago rise, Louis XV, the exceptionally pacifistic king of France, is not amused, having found out that his foreign minister has been plotting war over the Falklands with Spain. The minister is fired and as a result, the alliance with Spain comes to an end: Spain would stand alone in a war with England. 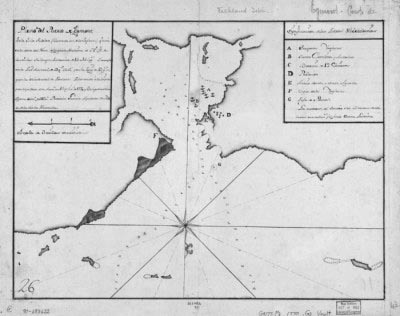 With Spanish soldiers refusing double pay to stay on the Malvinas, Spain decides to abandon the islands in 1811, leaving their authority over the islands in question. One could say at this point that the Falklandshave become Terra Nullius. 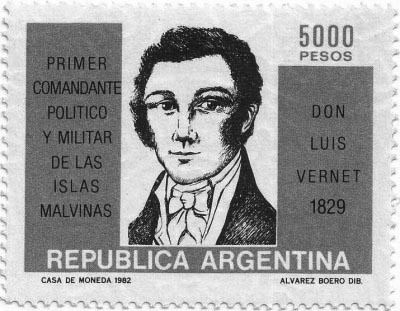 In 1828, Luis Vernet establishes a colony on the Falkland Islands. To this day, it remains unclear where this merchant’s loyalties lie. Luis Vernet’s ancestry is wrapped in mystery. Although he claims to be French by birth and of Huguenot descent, sources indicate that Vernet was born in Hamburg, Germany. To further contribute to this confusion, he fluently speaks German, French, English and Spanish, and refers to himself as Ludwig, Louis, Lewis or Luis, depending on which language is the most advantageous to him at any given moment. After conducting business in Portugal, Brazil and the USA, he sets up a base in the recently-declared Independent Republic of Argentina in 1818. Together with Jorge Pancheo, an Argentine independence hero, he develops a plan to colonize the Malvinas, a group of islands abandoned by the Spanish in 1811. Aware of the British claim on the islands, he contacts the British Admiralty to state that his enterprise is purely commercial. Vernet provides annual reports to the British and requests their protection in case of their return to the archipelago. This leads to the remarkable event that both Argentina and the United Kingdom grant Vernet official permission for his venture. After many failed attempts, Vernet finally succeeds in establishing a colony in 1828, his main goal being to set up a base for whaling and seal hunting. The settlers are a motley group, including gauchos to tend cattle, Dutch farmers to produce milk and butter, African American slaves, indigenous people of South America, Englishmen and a German family. After approximately one year, Vernet is appointed Governor of the Malvinas by Argentina, inciting British protests. It is not long before Vernet overconfidently exercises his territorial monopoly, exceeding the authority granted to him by the British. After seizing three American ships, the USA, then allied with Britain, destroys Vernet’s settlement and forces him to flee. Although Vernet never returns to the islands, his venture a failure, they remain inscribed in his family history: his daughter, appropriately named Malvina, is the first person born on the archipelago. In 1833, Antonio ‘El Gaucho' Rivero leads an attack against five prominent inhabitants of the Port Louis settlement. Exactly 150 years later, during the Argentine occupation of 1983, the capital of the Falkland Islands is renamed after Rivero. Although he is considered to be a ruthless murderer by the British, Rivero is celebrated as a heroic historical figure by the Argentines. 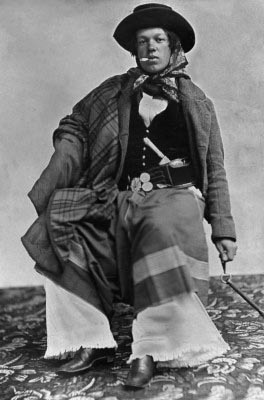 Rivero is viewed as a typical gaucho character, gauchos being popularly known as the cowboys of Latin America. Like their North American counterparts, they have the reputation of being strong, silent types, typically armed with facon knives instead of Colt revolvers. In 1928, Luis Vernet brings < to tend cattle. After a raid by the Americans in 1831, Vernet is forced to flee the United Provinces of the River Plate, now Argentina, and tries to rebuild the settlement. During this time, conditions on the desolate archipelago worsen. Because of a shortage of resources, general discontent among the gauchos grows and they plot revenge on the leading men of the settlement. On the 26th of August, 1833, Rivero, two fellow gauchos and five Charrúa Indians sent to the Falklands for bad conduct, lead a raid on Port Louis. First they kill Matthew Brisbane, a captain and former deputy of Luis Vernet, eventually dragging his corpse out of the village so that it is devoured by dogs. Next, they brutally attack another inhabitant named Don Ventura, shooting him in the throat with a musket, cutting open his head and nearly cutting off his arm. Barely alive, Ventura manages to escape while Rivero’s men kill another two inhabitants, William Dickson and Antonio Wagner. The remaining inhabitants, fifteen adults and two children, escape to the small, remote Hog Island, where they live solely off birds’ eggs until they are found two weeks later by an English ship. They become so bewildered as a result of starvation and the cold that the English crew is at first afraid of them to let them on board. As a direct response to the murders, the British Government establishes a permanent presence on the islands in January 1834. Subsequently, the governmental authorities on the islands initiate a process of upgrading the Falklands from the status of a minor naval outpost to a full-fledged colony, which it becomes in 1841. Geologist and natural historian Charles Darwin visits the Falkland Islands twice as a crew member of the HMS Beagle, observing the condition of the islands after the recent English takeover. The HMS Beagle serves as a support vessel for the larger HMS Adventure, a ship that surveys Patagonia from 1826 until 1830, initially under the command of Pringle Stokes. Suffering from severe depression and the pressures of his work, Stokes locks himself in his cabin for two weeks and eventually shoots himself in the head. After four days of suffering in delirium, he succumbs to his self-inflicted injury. This horrific story shocks his successor Robert Fitzroy sufficiently to take precautions to avoid going down the same path. To counter feelings of isolation at sea he searches for a ‘dining partner’, an intellectual companion to talk to on lonely nights. The person who acquires this position is Charles Darwin, then only 22 years old. The young scientist occupies himself during the journey researching fossils and rocks. When Fitzroy and Darwin arrive in Port Louis in March 1833, they are astonished to find that England has just taken possession of the islands. 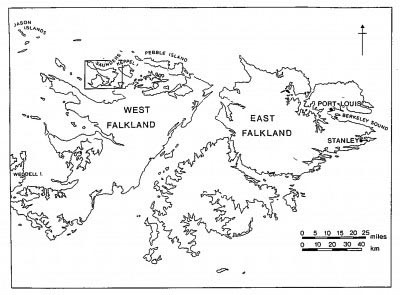 Darwin notes that the Falkland Islands would make a well-located colony, but he is surprised that the ethnically mixed population lives in ‘habitations of miserable condition’ and his first overall impression of the islands is bleak: ‘the whole landscape from the uniformity of the brown color, has an air of extreme desolation’. For Darwin, the atmosphere on the islands only becomes grimmer after a fellow crew member drowns while out hunting for birds. 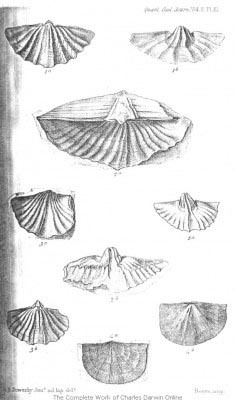 It is no surprise then that Darwin dreads his second visit to the Falklands in 1834. Traveling on horseback across East Falkland with two gauchos, Darwin is reminded of the recent brutal murders by Antonio Rivero. Darwin fears the Argentinian cowboys and is afraid that they will kill him as well, but he is more agitated by the fact that the constant rain and wind never leave him with a dry spot to sit on after a hard days work. 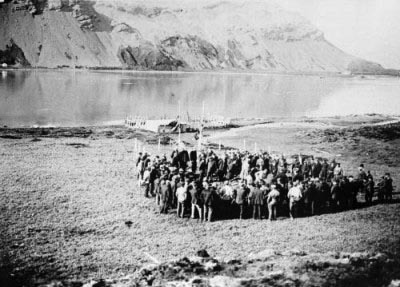 The shortage of fossil fuels and other resources on remote locations such as the Falklands forces inhabitants to improvise. 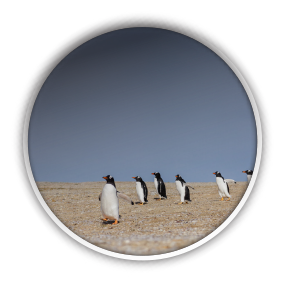 In the years of the first expeditions on the islands, penguins are hunted for food and fuel. In the 18th and 19th centuries, with a growing population and more houses requiring oil for lighting, Falkland Islanders take more serious approaches to penguin hunting. 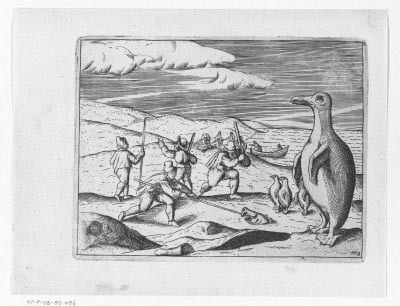 Fatty like geese with skin similar to seals, penguins are likened to “pygmies” or “man-like birds” by early explorers such as Sebald de Weert. Unafraid of humans, they are easy to collect and hunt. Ships take on hundreds of penguins and their eggs for rations. On land, the birds are rounded up into large groups and marched for kilometers, according to some accounts, across the islands. They are then thrown into huge pots, often still alive, where their fat is melted off. Some of the penguins are used to fuel the fire while the others are cooked. Like whales and seals, penguins have a significant amount sub-cuticular fat: half a litre of oil can be extracted from one penguin. Exactly how many penguins are killed on the Falkland Islands during this time is unclear, but estimates place the number in the millions. Shipping records note transports of up to 70 penguin oil barrels at once across the Falklands. A comparable operation on Macquarie Island near Australia could process about 2,000 penguins a day and resulted in the slaughter of three million penguins in total. The growth of the petroleum industry, however, around the beginning of the 20th century, spells the end of the penguin industry and results in the stabilization of penguin colonies on the Falklands. In 1843, Stanley is established as the capital of the Falkland Islands. 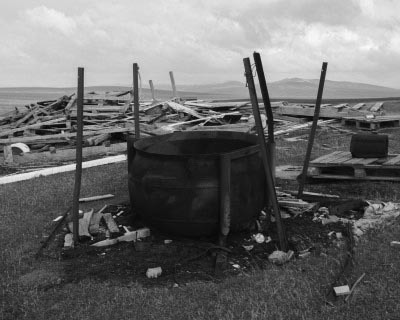 In its first 50 years, the town faces many challenges, including devastating peat landslides. 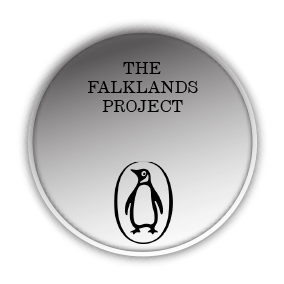 The remote location of the Falkland Islands makes it difficult for the first British settlers to obtain sources of energy, forcing the islanders to improvise with local resources: penguin oil is used for lamps and a local supply of peat is used to heat their houses. Around 1870, nearly every household has at least one person who cuts and stacks peat. It is challenging work: in addition to the laborious task of cutting the peat, one must also deal with accumulated water in the peat banks. Due to a critical lack of infrastructure, it is almost impossible for inhabitants to transport the large amounts of peat into town. 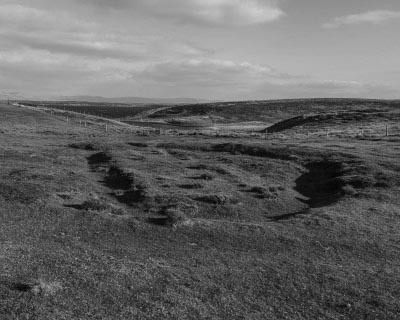 Therefore, the peat cutting is done just above Stanley, on the slope where the capital has been built. 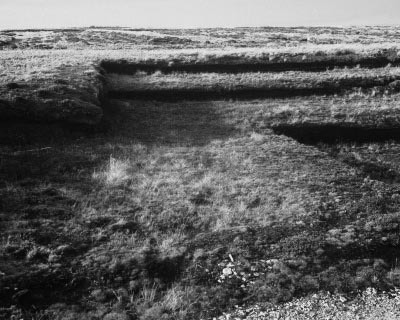 In 1878, after more than 30 years of exhausting the ground with peat cutting, the earth on the top of the hill is no longer solid enough to hold the accumulated water, given the lack of an effective drainage system. On Friday, November 29th, 1878, a landslide breaks through the uncut sections of peat, carrying them down the slope right through the middle of the town, which now has a population of approximately 800. At a height of three to four feet, the landslide engulfs houses in Stanley, trapping many inhabitants and preventing access to parts of the town. After the town is restored, steps are made to ensure that an adequate drainage system is put in place. These measures, however, prove to be insufficient. In 1886, after heavy rains, an even greater landslide hits the town, dragging houses down the slope, destroying the church and killing two people, including a man who is suffocated in his home. About a third of the town, now home to more than 1,000 people, is severely damaged. In response to these landslides, peat cutting is moved further away from the island’s capital. Nowadays, only 30 or so families use peat as the principal source of fuel for heating. The first Monday of October, however, is still celebrated on the Falklands as ‘Peat Cutting Monday’. As a result of the long-running disagreement between Chile and Argentina over the Beagle Channel, Chile becomes Britain’s only Latin American ally during the 1982 Falklands War. The Beagle Channel, now part of the border between Chile and Argentina, is actually a strait that runs through the archipelago Tierra del Fuego (‘Land of Fire’). 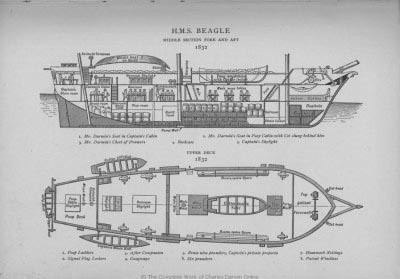 Incidentally, the channel is named after the HMS Beagle in dedication to the ship’s captain, Pringle Stokes, who committed suicide there in 1828. Around 1900, both Chile and Argentina begin seeing economic potential in the archipelago and its surrounding waters and make a number of conflicting claims on islands in the region. In 1958, tensions peak when the Chilean navy erects a lighthouse on Snipe, a small uninhabited island in the channel. Within a month, the Argentines destroy it and erect their own in its place. The Chileans then return to collect the remnants of their lighthouse and rebuild it while demolishing the other. 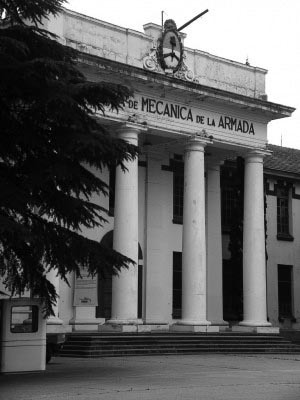 The following day, it gets shot to pieces by the Argentine navy. Eventually, the two countries agree upon leaving the island without a lighthouse, in order to avert a more serious crisis. 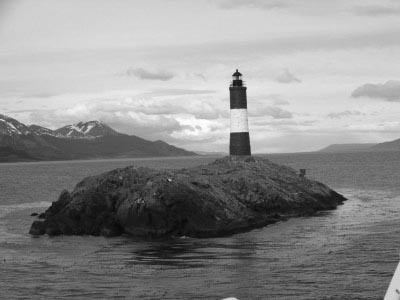 Ten years after the lighthouse conflict, the area within the Beagle Channel is estimated to be worth three billion dollars in fish, mineral and oil resources. At the time, the oil resources in the channel alone would be sufficient to produce the equivalent of 45% of Chile’s nation oil consumption. In 1977, a British court rules that the Chilean interpretation of the border is correct and that the contested islands belong to Chile. The Argentines disagree and accuse the British of purposefully trying to worsen Chilean-Argentine relations. 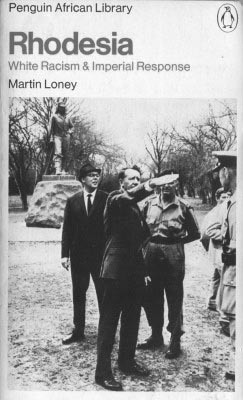 In 1978, while Chile’s dictator, Augusto Pinochet, tries to keep diplomatic channels open, Argentina, under Jorge Videla, begins hinting at possible military responses and prepares for all-out war under the code name ‘Operación Soberanía’ (‘Operation Sovereignty’). When a confrontation between the navies of the two countries is delayed by a tropical storm, Chile sends a message to Pope John Paul II informing him of the imminent war with Argentina and requesting assistance from the Vatican. Knowing that they cannot afford the political consequences of having their actions condemned by the pope, the Argentine government decides to hold back its military forces only a few hours before their planned invasion. Although war is prevented, tensions remain. At the time of Argentina’s invasion of the Falklands in 1982, similar plans exist to occupy contested islands in the Beagle Channel. Since Chile suspects this, they openly support the British in their counter-attack and secretly provide them with valuable strategic information. After Argentina’s military defeat in the Falklands, a new, pro-democratic government is elected and the planned occupation of the Beagle Channel is aborted. In 1984, Argentina signs a “Peace and Friendship” treaty with Chile. The island of Snipe currently has a Chilean lighthouse on it. During the 1800s, the Falkland Islands, under British rule, benefit from having the only deep water harbour in the the vicinity of Cape Horn, the most southern point of South America. 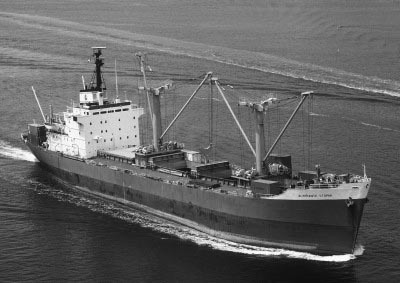 Ships on route to Chile, the west coast of North America and Asia dock in Stanley for rations and repairs. The geographical importance of the Falklands diminishes, however, with the opening of the Panama Canal. The impracticality of having to sail around Cape Horn to get from the Atlantic to the Pacific Ocean is recognised as a major issue as far back as the 16th century. The first proposal for a canal through the American isthmus is made in Spain in 1534, although the project is derailed by the King, who states ‘if God wanted the oceans to meet, He would have built the canal Himself’. In 1895, the French diplomat and developer Ferdinand de Lesseps, who has already successfully built the Suez Canal, initiates construction in the area. Various geological and technical challenges, however, turn out to be much greater than expected in the region’s tropical environment. Between 10,000 and 20,000 thousand workers lose their lives to yellow fever. De Lesseps eventually goes bankrupt and the project is halted in 1898. In the same year, the strategic and economic significance of the canal is recognised by the United States of America, who at the time are at war with Spain. One of their first great warships, the USS Oregon, takes no less than 68 days to sail from the west coast of the USA to battle stations in Cuba, a journey that would have taken a third of the time had the canal existed. In order to obtain control of the canal zone, US President Theodore Roosevelt negotiates with inhabitants of the Panama region (part of Columbia at the time) who have a long history of separatist rebellions. In exchange for partial ownership of the canal zone, the US supports the separatists’ fight for independence. This happens successfully in 1903 and as a result, the US gets exclusive rights to the canal. 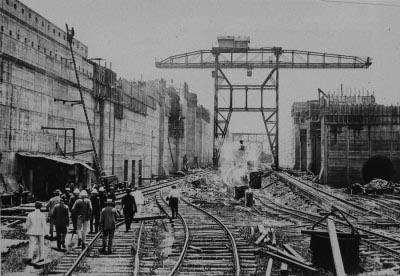 The construction commences a year later and the first ship sails through in 1914. 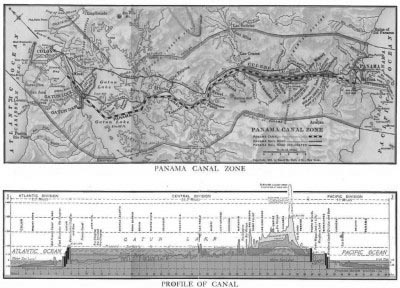 The opening of the Panama Canal, together with the Suez Canal, can be viewed as a starting point of globalisation. Allowing for far more direct shipping routes and reduced transportation costs, the canals contribute significantly to the development of mass production and consumption internationally. The Falklands, however, suffer as a result. Stanley ceases to be an important harbour for global trade routes and, with that, it loses much of its significance to the United Kingdom. At the end of November 1914, the German admiral Maximilian von Spee sets off after a major victory. His East Asia Squadron has just sunk two British armoured cruisers, the HMS Good Hope and the HMS Monmouth, near the coast of Valparaíso, Chile. Severely weakened, with only half of their ammunition remaining, his squadron departs for maintenance in Germany. On his way, however, Von Spee decides to raid the British storages on the Falkland Islands, despite objections from his crew. A voluntary soldier on the island coincidentally spots the German squadron while out for a walk and informs a larger British fleet of ships, which happens to be situated nearby. On the eighth of December, British admiral John Fisher and his battle cruisers crush the East Asia Squadron, sinking every German battleship except for the SMS Dresden, which manages to escape just in time. On the hills of Stanley, the island’s population holds their breath as the entire spectacle unfolds. The battle takes the lives of 10 British soldiers and 1,871 Germans, including Von Spee and his two sons, Otto and Heinrich. 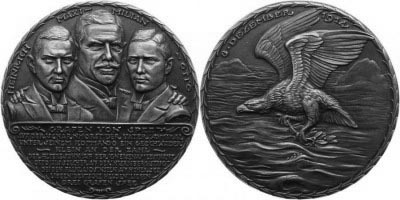 Admiral Fisher’s squadron only catches up again with the SMS Dresden at Robinson Crusoe Island, 600 kilometres off the coast of Chile. On the 15th of March, 1915, the armoured cruisers HMS Glasgow and HMS Kent open fire on the German ship. Unable to escape, the crew scuttles the SMS Dresden. 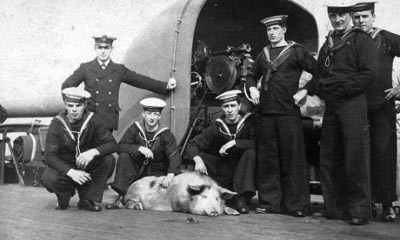 A pig, abandoned on the sinking ship, miraculously finds its way on deck and survives the wreck. After spending two hours in the water, thereby disproving the theory that a pig kills itself while attempting to swim, the pig is rescued by the British crew and affectionately named after the German Grand Admiral, Alfred von Tirpitz. 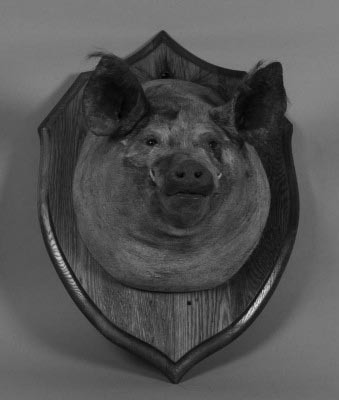 For four years, the animal serves as the HMS Glasgow’s mascot until it is purchased by William Cavendish-Bentinck, the Sixth Duke of Portland, who has it stuffed and donates it to the Imperial War Museum in London, where it remains to this day. 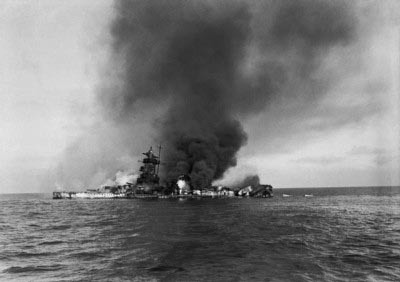 As if by fate, the Nazi battleship Admiral Graf Spee faces destruction in the South Atlantic during World War Two. On the 30th of June, 1934, the German navy launches the Admiral Graf Spee, a new armed cruiser named after the Admiral Maximilian von Spee, who died together with his two sons in 1914 during the Battle of the Falkland Islands. Von Spee’s daughter, Huberta von Spee, christens the ship at its launching. In 1938, Hans Langsdorff takes command of the Admiral Graf Spee, which is at this time one of the premier ships of the German fleet. 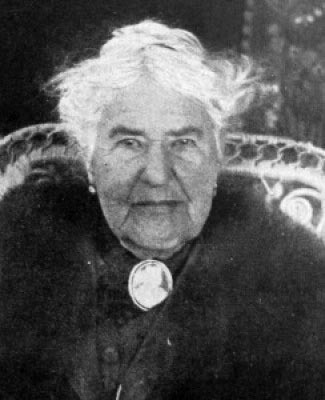 Fortuitously, the 44 year-old naval officer in charge of the ship grew up next door to the Von Spee family in Düsseldorf. Langsdorff joins the navy, against his parents’ wishes, precisely because of this childhood acquaintance. From 1939 on, Langsdorff successfully raids and sinks merchant ships in the South Atlantic. He abides by the Hague Convention and avoids taking lives while sinking nine British merchant ships. As a result of its success, the British Navy seeks revenge on the Admiral Graf Spee, leading to the Battle of the River Plate, the first naval battle of the Second World War. On the 13th of December, 1939, three British ships attack the Admiral Graf Spee, the HMS Exeter, a heavy cruiser, and two light cruisers, the Ajax and Achilles. 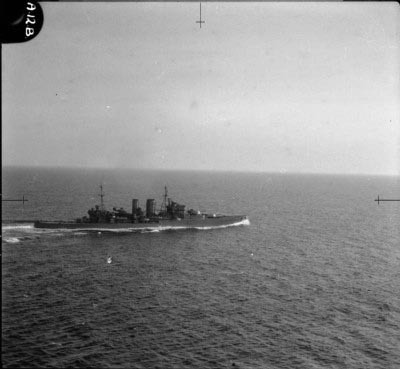 Langsdorff is able to severely damage the HMS Exeter, killing 61 of her crew and forcing the ship to limp back to the Falkland Islands for repairs. 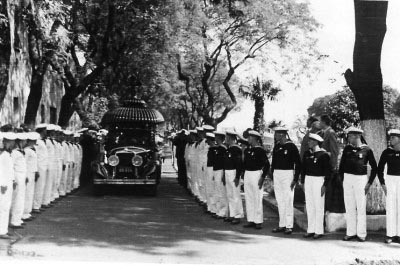 At Port Stanley –by then a temporarily British military station– burials are given to the dead crew members and the ship’s 23 wounded are treated. Before withdrawing, however, the Exeter manages to fire an eight inch shell into the Admiral Graf Spee, severely damaging the ship’s boiler. Langsdorff manages to sail the ship to Montevideo, but is not granted sufficient time in port for essential repairs. When the Admiral Graf Spee reaches Argentine waters, Langsdorff receives orders from Berlin to scuttle the ship to prevent it from falling into British hands. The orders shatter his hope of dying heroically like the ship’s namesake, and Langsdorff’s childhood idol, Maximilian von Spee. Disillusioned, Langsdorff commits suicide shortly after the loss of his ship in his hotel in Buenos Aires. As the strategic geographical importance of the Falkland Islands diminishes and tensions between the United Kingdom and Argentina increase, the British government considers whether or not they should continue to maintain control of the archipelago. 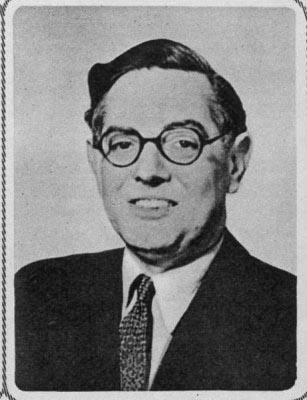 In 1976, Lord Edward Shackleton, son of the famous explorer Lord Ernest Shackleton, is appointed to conduct an economic survey of the Falkland Islands. Prime Minister James Callaghan believes that Lord Shackleton’s family history will endear him to the islanders, his father having been buried on South Georgia. 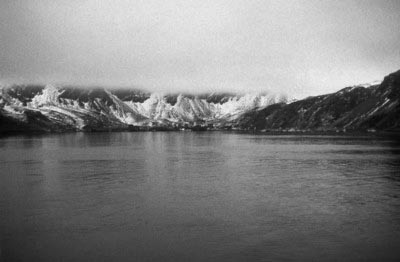 One of Shackleton’s tasks is to warm the islanders to the idea of cooperation with Argentina. The islanders indeed have reasons to mistrust the British. For more than ten years, negotiations between Britain and Argentina have been taking place that will determine the fate of the Falklands. Solutions to the conflict range from the radical proposal to give Argentina complete control of the islands and resettle the islanders onto an island with a similar climate off the Scottish coast, to the more moderate idea of installing a joint Anglo-Argentine government. With the drastically changing political situation in Argentina, however, the Falkland Islanders fear any collaboration whatsoever with their neighbouring country. During the survey team’s visit, the Argentines become agitated and send the destroyer ship Almirante Storni to intercept and arrest Shackleton’s team onboard what they believe to be a British Navy ship, the HMS Endurance. They fire warning shots and demand to be let on board, but quickly discover that the ship is in fact the Royal Research Ship (RRS) Shackleton, named after Edwards famous grandfather. The survey team prevails, however, despite Argentina’s hostile attitude. 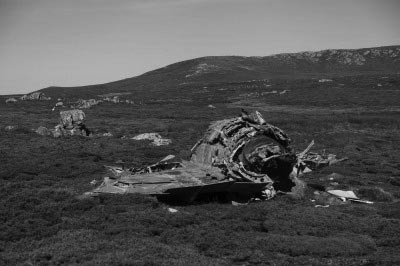 Although Shackleton acknowledges that the islands’ approximately 2,000 inhabitants live under poor conditions, he reaffirms the economic viability of the Falklands and eventually becomes rather fond of the place. In his remarkably humorous report, he calls the islands ‘a piece of land entirely surrounded by advice’. To the British government’s displeasure, he pleas for major investments in infrastructure, the development of fisheries, exploration of oil fields and support for farmers with stock-raising facilities. Taken by surprise, the British government, which up until this point was ready to surrender control of the islands, hesitantly begins investing the in Falklands. These investments provide the basis for much of the infrastructure that sustains the islands up to the present day. Even though negotiations with Argentina continue, relations between the two countries are now damaged beyond repair. 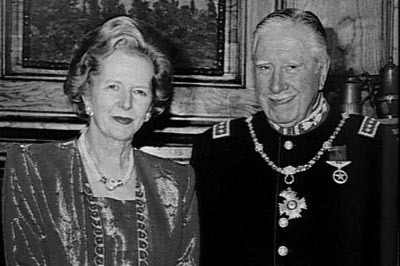 There are many factors that contribute to the 1982 war between Argentina and the United Kingdom. One of them is the almost forgotten ‘food of the future’, krill. Krill are small crustaceans related to shrimp, prawns and crabs. They inhabit all of the world’s oceans in large swarms, which can contain up to 60,000 members of the species per cubic meter. These ‘super-swarms’ can cover many square kilometres and are so immense that they can be seen from satellites. 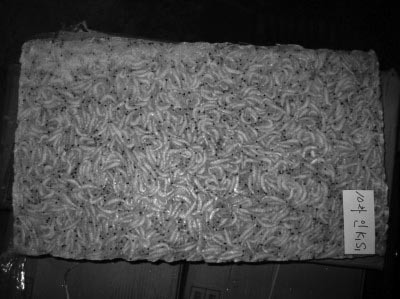 The Antarctic krill used to be the principal food of Baleen whales, which can eat up to 3,600 kilograms of krill per day. When the Baleen whale population is almost wiped-out in the 1960s, scientists argue that their extinction will result in a global surplus of krill and the remarkable assumption is made that it will be possible to harvest around 200 million tons of krill without causing ecological damage (at this time, the annual global catch of seafood is 70 million tons). To stimulate consumption of krill, the fishing industry promotes the product as the ‘food of the future’, capable of ending world hunger. 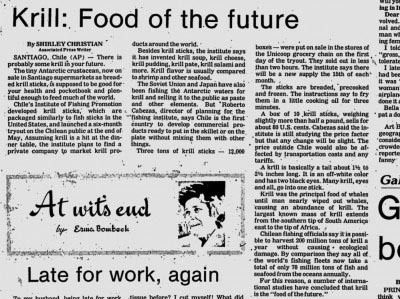 In 1977, Chile’s Institute of Fishing Promotion develops krill sticks as a replacement for fish sticks, along with krill soup, krill cheese, krill pudding, krill pâté and krill salami. With an estimated biomass of 500 million tonnes, roughly twice that of the entire human population, krill attract national interests and the USSR also looks for a share in the krill fishing market. In 1980, Argentina and the Soviet Union draft a joint krill fishing venture and cooperation agreement, which would permit fishing activities in the vicinity of the Falklands. On the eighth of April, 1982, just one week after Argentine forces invade the islands, the Argentine Government officially authorizes the agreement. Threatening to upset the balance of power in the ongoing Cold War, the Soviet-Argentine alliance troubles the United States and in response, the US tries to push for a diplomatic resolution to the conflict in the Falklands, holding back their support for the United Kingdom. The joint venture, however, never takes off, as Argentina and the USSR are unable to resolve a conflict over which flag the krill-harvesting ships will fly. 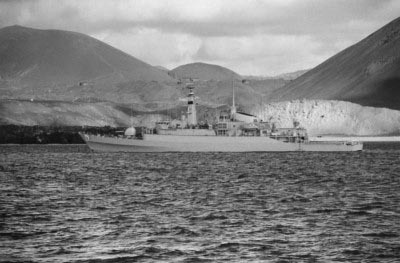 After the Falkland War, the British government nevertheless allows Soviet ships to fish in the British Falklands Island Protection Zone (FIPZ), while excluding Argentinian ships. Meanwhile, krill has yet to establish itself as the ‘food of the future’. Russia and Japan, however, still reserve moderate quantities of krill for human consumption. Southern Thule is a small archipelago in the Antarctic region that is part of the United Kingdom. Despite its remote location and inhospitable climate, it plays a significant role in the Falklands War. 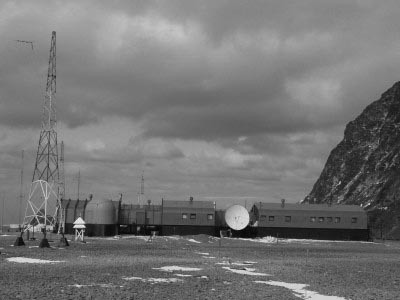 Comprising 25 square kilometres of land, Southern Thule is part of South Georgia and the South Sandwich Islands (SGSSI) of the British Overseas Territory. 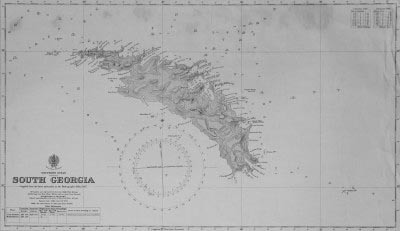 In 1775, James Cook deems the archipelago ‘the worst place on earth’ and gives the southern island group the nickname ‘Ultima Thule’, a term used in medieval geography to denote a place located beyond the borders of the known world. The general assumption is that the islands are leftover parts of a sunken volcano, covered with penguin feces and ash. At the time, it is considered uninhabitable due to its harsh, polar climate. In 1976, Argentina sends approximately twenty men with an Argentine flag to an uninhabited island in Southern Thule to set up a small base, which they name Corbeta Uruguay. The base includes a helicopter landing pad, a couple of huts and radio and weather stations. When the HMS Endurance spots the base from a distance, the British Navy considers expelling the Argentines by force. 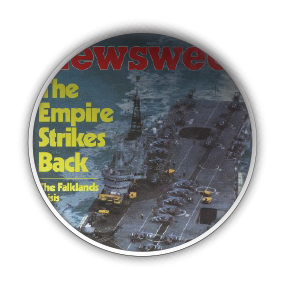 At this point, however, there are ongoing negotiations on a joint sovereignty solution for the Falkland Islands and Prime Minister James Callahan fears that military action will sabotage any prospect of a peaceful outcome. Despite Prime Minister Callahan’s concern that news of the occupation will spark public outrage and demands for military action, he decides on a diplomatic approach. Meanwhile, he takes precautionary measures to hide the incident from the British media. Eventually though, in response to the increased threat of an Argentine attack on the Falklands, Prime Minister Callahan launches a task force, including the HMS Dreadnought, a nuclear submarine, to protect the archipelago. 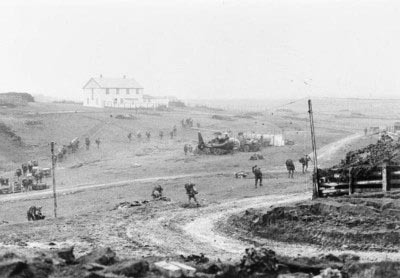 The occupation of Thule Island stalls negotiations over the Falkland Islands and becomes one of the contributing factors to the impending Falklands War. All diplomatic attempts to get Argentina to leave South Thule fail and Corbeta Uruguay remains on the islands until the United Kingdom attacks the base at the end of the war. After the Argentines are displaced from Corbeta Uruguay, Thule Island remains uninhabited. 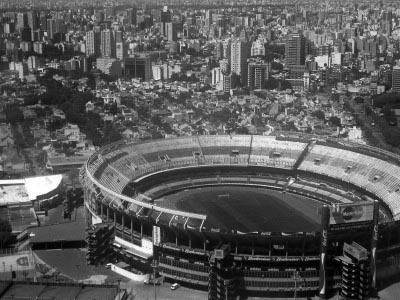 With impending wars with Chile and the United Kingdom and rumours of thousands of ‘disappeared’ inhabitants, Argentina tries to better its image for the 1978 FIFA World Cup. 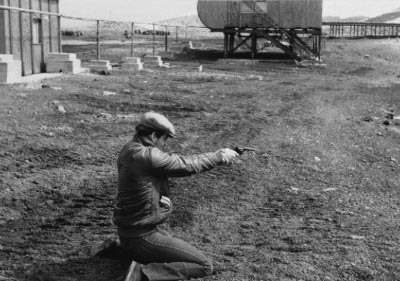 After the 1976 Argentine occupation of Southern Thule, Anglo-Argentine relations deteriorate and the prospect of war on the Falklands becomes evident. In response to Argentine threats, the United Kingdom sends a precautionary task force to protect the islands. At the same time, tensions with Chile, which is under Augusto Pinochet’s dictatorship, continue to escalate. In order to successfully host the World Cup, Argentina takes actions to restrain these ongoing hostilities. In February 1977, two Anglo-Argentine groups meet in Lima where the Argentines make assurances not to attack the Falkland Islands and later, in January 1978, the Jorge Videla regime holds off an attack on Chile. Nevertheless, the 1978 World Cup remains controversial. 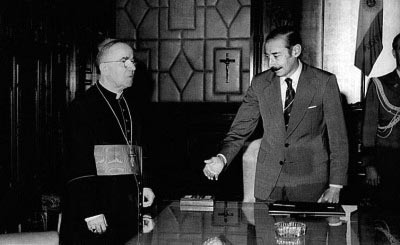 Although Videla is viewed internationally as a moderate, Catholic leader and enjoys more international esteem than Pinochet, for example, he is viewed with increasing skepticism as rumours of disappearances and executions in the so-called ‘Dirty War’ become numerous. Many countries, including the Netherlands, seriously debate participation, but in the end all of the teams show up. It is also the Netherlands that play the final match against Argentina in the El Monumental Stadium in Buenos Aires, just 1.5 kilometres away from the Naval Mechanics School (ESMA), a concentration camp where approximately 5,000 Argentinians are secretly held, tortured, and murdered. The noises from the match pierce the walls of the institution. When the game is finally played Argentina wins 3-1. A few months after the World Cup match, Argentina officially places claims on the Falkland Islands as well as the Beagle Channel and Videla signs an order to invade Chile on December 21st. Despite the ever increasing threat of war, the United Kingdom continues to sell arms to Argentina. With the occupation of South Thule, Argentina’s hostile attitude towards the United Kingdom becomes clear. The United Kingdom, one of the main global exporters of arms, now faces the dilemma of whether it should continue or cease delivering arms to Argentina. In 1979, the British Foreign Office decides to stop the distribution of equipment that could be used against the Falkland Islands. It proves difficult, however, to establish which weapons constitute a threat and which do not. The government rules out the sale of mortars, ammunition and tanks, for example, but permits the sale of equipment for German-built frigates, Lynx helicopters, Sea Dart missiles and blow pipes. Furthermore, contracts are signed for eight Lynx helicopters and additional Sea Dart and Sea Cat missiles. In the end, however, Argentina holds off on a large number of these purchases mainly because they fear dependence on the United Kingdom for auxiliary parts while at war, and choses instead to work with other European countries, such as Germany. Today, the United Kingdom continues to sell arms to countries where controversial conflicts take place, such as the Democratic Republic of the Congo, Zimbabwe, China, Russia and Iran. And even though the Falklands conflict remains unresolved, the United Kingdom continues to provide Argentina with weapons, software, ammunition, combat equipment and other military technologies. A group of Argentinian scrap workers land on the island of South Georgia without British permission, catalyzing a series of events that lead to the Falklands War. South Georgia is part of South Georgia and the South Sandwich Islands (SGSSI) and the Falkland Islands Dependencies. It is as remote and inhospitable as Thule Island and has no native population, only approximately 20 temporary inhabitants, most of whom work for the British Antarctic Survey (BAS). Previously, the island was used as a whaling and seal hunting station. A Norwegian church, built in 1813, remains from this time. 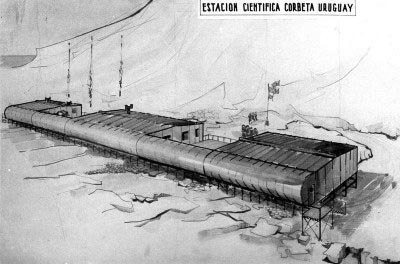 In December 1981, an Argentine entrepreneur named Constantino Davidoff plans to demolish the old whaling stations on South Georgia. He has a two-year contract with the United Kingdom for this venture worth 180,000 pounds. When his icebreaker Almirante Irizar lands for the initial survey, he fails to call to the BAS base, which is compulsory for every landing party. This apparent negligence creates suspicions within the British Government. When Davidoff’s party of 39 scrap workers on the Bahia con Suceso lands in March 1982, they ignore this standard protocol again, hoist an Argentine flag and destroy property and steal rations at the BAS station. 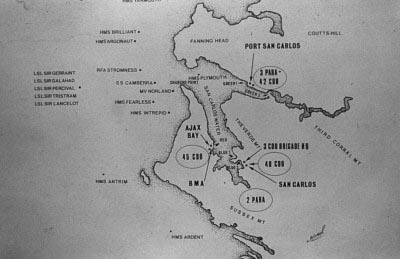 The BAS party then realizes that Davidoff’s workers have been infiltrated by the Argentine military, who, under the codename ‘Operation Alpha’, intend to occupy South Georgia just as they had previously done with Thule Island. This time England cannot ignore the invasion. Tensions between Argentina and the United Kingdom increase to the point where the two nations are no longer able to negotiate directly. In diplomatic negotiations, Peru mediates for Argentina and Switzerland for the United Kingdom. Together, they draft a peace plan, which requires Argentina to leave South Georgia under the threat of British military intervention. The Argentine government, however, decides to renounce the diplomatic process and, already having planned an attack on the Falkland Islands to take place towards the end of the year, proceeds with an invasion on April 1st, 1982. Incidentally, because of the war, Davidoff never receives the money promised to him. The formerly wealthy entrepreneur, who has unsuccessfully been trying to sue the British government for 30 years, loses his house, his boats and eventually even the support of his family. He is now popularly known as ‘the man who started the Falklands War’. In the process of preparing for war in the Falklands, the Argentine military stimulates the global arms trade. On the second of April 1982, the Argentine military takes control of the Falkland Islands. The annexation occurs swiftly. The Argentine military task force, composed primarily of inexperienced, teenaged soldiers, takes over the island within one day. Since the British have recently made drastic spending cuts affecting their overseas territories, the Argentines believe that the archipelago is worth little to the United Kingdom and that a counter-attack is unlikely. Almost immediately after the occupation is complete, however, Prime Minister Margaret Thatcher decides to send a task force to the faraway islands, consisting of 127 ships and 42 aircraft, including the HMS Brilliant and the HMS Broadsword illegally armed with nuclear depth charges. In order to face this formidable challenge from the British military, Argentina acquires arms from Brazil, Israel, Libya, Peru, the Soviet Union and Venezuela. Libya’s contribution perhaps stands out the most. 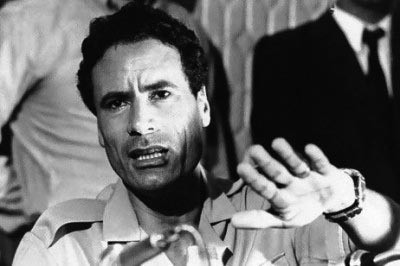 Muammar Gaddafi sends two Boeing 707 airplanes on four trips with rocket launchers, missiles, guns, mortars and mines. 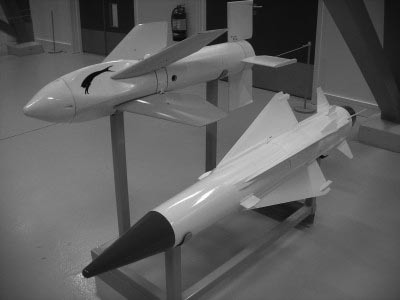 The Argentine military also employs weapons previously purchased from Belgium, France, Italy, Spain and the United States, including land mines and five Dassault-Breguet Super Étendard strike fighter planes equipped with Exocet anti-ship missiles. The United Kingdom, on the other hand, receives support from Chile, France and the US. With Chile on the verge of war with Argentina, they are able to offer the British forces information on Argentine positions. Incidentally, Argentina has reserved its better-trained troops for fighting with Chile. France provides intelligence on the Super Étendard fighters, a French aircraft, and trains British pilots to handle them. Finally, although the US is initially hesitant to back the British forces, fearing a Soviet-Argentine bloc, Argentina’s failure to comply with the United Nations’ resolution 502, a peace proposal, results in their full support for the British. 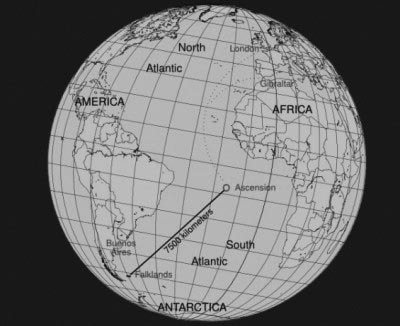 Ascension Island, a small, relatively insignificant island in the South Atlantic, becomes one of the most important centres of the Falklands War. Ascension Island is a volcanic island in the middle of the Atlantic Ocean with only 88 square kilometres of land. It is located almost exactly between South America and Africa, at least 1,000 miles away from either continent. The island is part of the British Overseas Territory of Saint Helena, Ascension and Tristan da Cunha. At the time it is discovered by the Portuguese general Alphonse d’Albuquerque, the island is uninhabited, populated only by millions of seabirds and ancient reptiles. Due to its dry climate and barren atmosphere, the island provides few comforts to crews heading to the East Indies that land on the island to stock up on rations, seabirds and turtles. 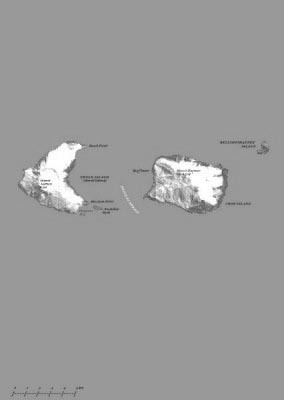 The island remains unpopulated for approximately 300 more years until Napoleon Bonaparte is imprisoned on Saint Helena in 1815 and a small British naval garrison is stationed on Ascension Island in order to intercept possible rescue attempts by the French. The island is then designated ‘HMS Ascension’, a ‘stone sloop of war of the smaller class’. In 1836, Charles Darwin arrives on the island. There he finds the Royal Marines, who have taken over the island in 1836, freed slaves, sheep, goats, cows, horses and many rats and land crabs. Darwin admires the way the inhabitants care for their houses, gardens and fields and their attempts to make good drinking water with few resources. 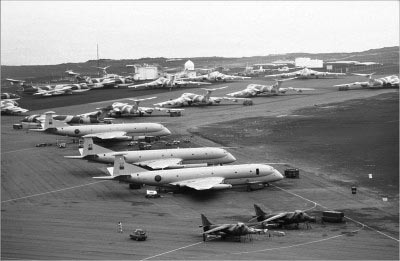 Due to its location roughly halfway between England and the Falklands,Ascension Island becomes an essential staging area for the British task force that gathers there on the 27th of April, 1982. Overnight, Widewake airfield becomes one of the world’s busiest, with Vulcan bombers flying in and out on their way to attack Argentine runways and radar sites on the Falklands, 6,300 kilometres away. Nowadays, the island still contains a refueling point for flights flying back and forth from the United Kingdom to the South Atlantic. The island is primarily a military post for the United Kingdom and has a small population of about 900 inhabitants. 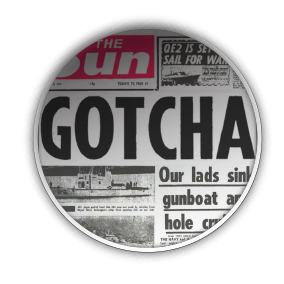 Throughout the Falklands War, the British army faces numerous problems caused by British news media. The most significant incidents result from international broadcasts by the BBC World Service. The first incident in which the BBC unwittingly disseminates sensitive information involves so-called ‘retarded bombs’. 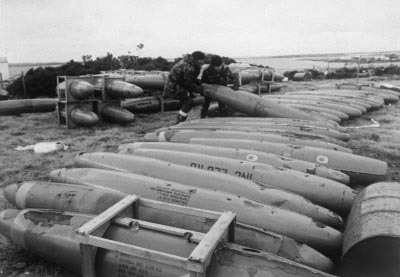 The Argentine air force uses these bombs, some of which were purchased from the British only a few years earlier, to attack the British fleet at low altitudes. 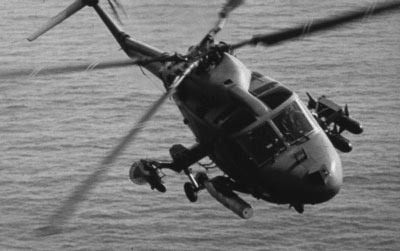 While the first British troops attempt to land on the Falklands during Operation Sutton, the Argentine air force performs low-altitude attacks with limited success. The Argentines fail to get the detonators on their bombs to function at low altitudes. After an official from within the UK Ministry of Defense informs the BBC about this issue, the World Service broadcasts the information publicly, resulting in the Argentines altering their bombs so that they work far more effectively. 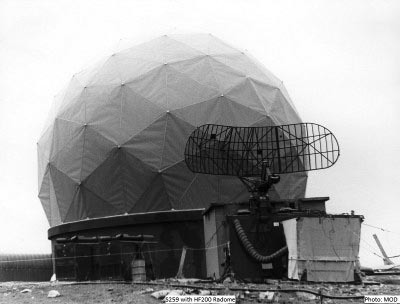 The most serious blunder caused by the BBC World Service, however, occurs just a week later, on May 26, 1982, as British troops prepare a sneak attack on Argentine forces entrenched on Darwin Hill, near Goose Green. While hiding out in an abandoned building, preparing their attack, the Second Battalion, Parachute Regiment hears, to their horror, their plans for the attack one day before it is scheduled to happen. The regiment’s commanding officer, Lieutenant-Colonel Herbert ‘H’ Jones, is understandably furious, since the careless announcement has blown the element of surprise. Lieutenant-Colonel Jones solemnly swears to sue the BBC for treason after the war is over, but tragically dies later that day on the front line. He is posthumously awarded with the Victoria Cross, the greatest military honour awarded for valour. Although the wrath of the company is directed at the BBC, the information turns out to have been provided by a ‘senior government official’ keen to share some ‘good news’ about the war. The Battle of Goose Green is won by the British one day after Lieutenant-Colonel Jones’ death. The victory is a turning point for the British forces. During the Falklands War, Argentina benefits from its closer proximity to the islands, which allows the Argentine military to use their airforce more effectively. After the sinking of the HMS Sheffield, the British realise that the war will be won on the ground. One infantry regiment deployed by the British, the Gurkha Rifles, stands out for its particularly interesting history. Originating from parts of Nepal and India, the Gurkhas stand out as exceptionally strong and resilient fighters during the 1814 Anglo-Nepalese War. 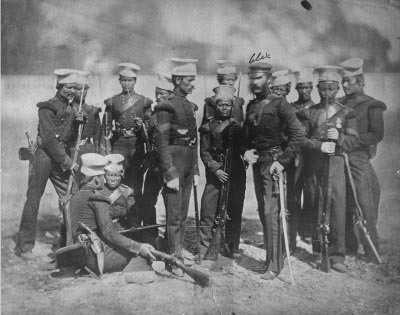 The conflict ends with the signing of the Treaty of Suguali in 1816, which allows the British to recruit Gurkhas into the irregular forces of the British Army. From this point onwards, Gurkha regiments are deployed by the British military in numerous wars, including many in Asia during the 19th century. Many Gurkhas also fight for Britain in wars in the 20th century, including 200,000 in World War I and 250,000 in World War II. Initially, Gurkha soldiers, regardless of their rank, are forced to obey the commands of any British officer. Although this policy changes after WWII, many Gurkhas leave the British Army after 1947 when given the choice to serve in the Indian Army. By the time of the 1982 Falklands War, only one Gurkha regiment remains in the British Army, the 7th (Duke of Edinburgh’s Own) Gurkha Rifles. 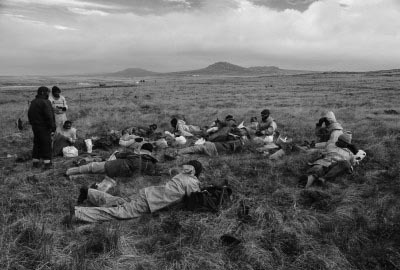 Despite the government’s concern that the deployment of Gurkha troops will erode domestic and international support for the British cause--Gurkhas have fewer rights and benefits than soldiers who are citizens of the United Kingdom--the Gurkhas are sent to the Falklands to join the 5th Infantry Brigade, which also included the Scots and Welsh Guards. 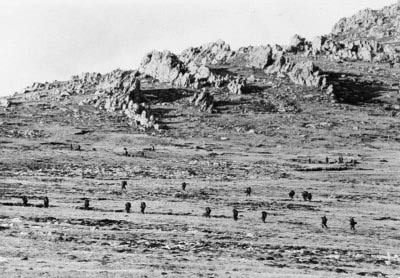 They arrive at the settlement of San Carlos and face a 90 kilometre-long ‘yomp’ (Royal Marine slang for a long march in full gear) towards Stanley through the mountains. Despite the horrendous climate and the misfortune of being dropped in the wrong location, they go into battle eager to fight. The Argentines, however, have fled, supposedly because of legends of Gurkha ferocity, and as a result, the Gurkhas do not play a major role in the Falklands War. The Gurkhas are still part of the British army and Gurkha veterans continue to fight for the same benefits as ordinary British soldiers. • The Independent: What went wrong for Joanna and the Gurkhas? Under the 1999 Ottawa Treaty, the United Kingdom is required to clear all land mines left over from the 1982 Falklands War. This recent initiative has generated little enthusiasm on the archipelago. During the two and a half month-long Falklands War, both Argentina and the United Kingdom lay mines. After the war, British forces immediately clear their mines. 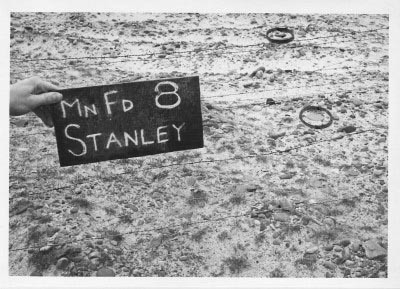 Large numbers of Argentine mines, however, remain spread over at least 100 minefields in various strategic locations, such as the capital, Stanley. Argentine forces have declared to the United Nations that some 20,000 anti-personnel mines and 5,000 anti-vehicle mines were laid by its armed forces. In 1999, the United Kingdom is one of the 161 countries that sign the Ottawa Treaty, also known as the ‘Mine Ban Treaty’. The treaty aims to eliminate the production and development of anti-personnel land mines around the world. Each state party commits to never use anti-personnel mines, nor to ‘develop, produce, acquire, stockpile, retain or transfer’ mines, and each country must also clear all mines in their territories within ten years. Thirty-five states refuse to sign the treaty, including the United States of America, Russia, China, Israel and Iran. 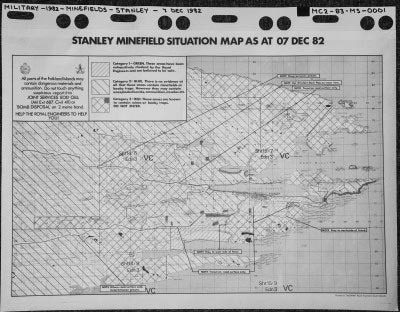 Falling under the jurisdiction of the United Kingdom, the Falklands is obliged to clear all of its mined areas by the first of March, 2009. Many islanders, however, do not wish to comply with the agreement. 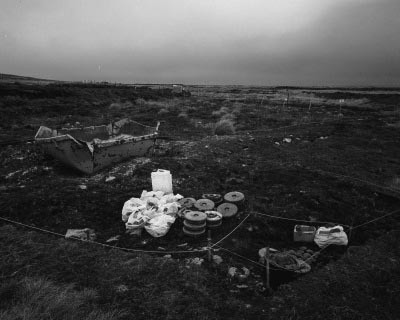 In a petition known as ‘The Falklands Initiative’, they state that the economic, social and humanitarian impact of the minefields on the islands is negligible and that clearing the mines on the Falklands is not an urgent matter. The petition is also based on the idea that their compliance with the Ottawa Treaty would send the wrong signals to countries that need more assistance clearing their minefields, such as Cambodia, Zimbabwe, Afghanistan and Angola, where civilians are killed and injured daily. 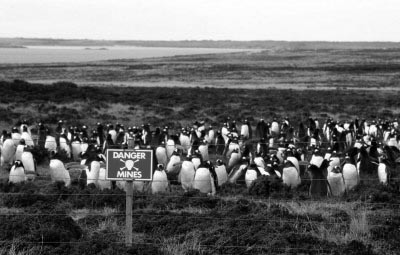 All mined areas on the Falkland Islands are fenced and marked to protect civilians. Although animals such as sheep are killed occasionally, there has never been a civilian casualty. In fact, the minefields offer protection to penguins, which are light enough to walk over mines. 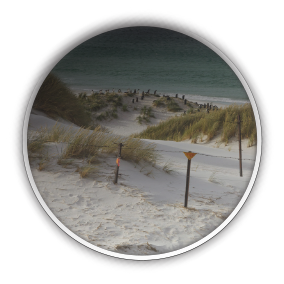 Recently, mined beaches around Stanley have turned into popular penguin breeding grounds. 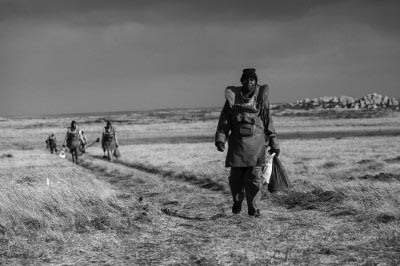 Since 2009, Zimbabwean minesweepers, hired for the experience they have gained in their home country, clear land mines on the Falklands. With many valuable resources such as gold, ivory and copper, the region that is now Zimbabwe is highly coveted by European colonialists. After a period of Portuguese occupation in the 17th century, Zimbabwe is first colonized by the British when entrepreneur Cecil Rhodes obtains mining rights to the territory in 1888. Rhodes’ dream is to establish British control over a chain of bordering countries running north to south across the continent. In order to take control the territory, Rhodes fights two wars with local tribes, killing at least 8,500 of those who resist. In 1923, the territory is named Southern Rhodesia after Rhodes and becomes a self-governing colony of the United Kingdom. In the 1960s, the UK considers giving the colony back to its native population. After negotiations between Rhodesian Prime Minister Ian Smith and British Prime Minister Harold Wilson, the country becomes an independent sovereign state in 1965, under the Unilateral Declaration of Independence, and in 1970, the country is declared to be an independent republic by the Smith government. No longer part of the Commonwealth and heavily sanctioned by the UK, the Republic faces resistance from several rebel armies, including the Zimbabwe African National Union (ZANU) and the African National Liberation Amy (ZANLA). Wars between the Rhodesian government and groups seeking to end white minority rule last for 14 years and still affect the country to this day. Mines are used heavily by opposing armies in the conflict. The Rhodesian government alone lays over 1.5 million land mines over 766 square kilometres of land, exhausting the national budget. Guerrilla fighters even mine shopping centres in the capital, Salisbury. 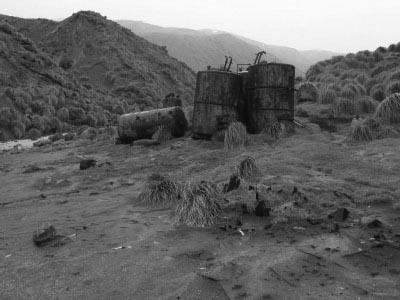 Over the course of the war, 203 villages and about 580,000 people are displaced as a result of the mining. In 1980, Robert Mugabe, former leader of the ZANU, becomes the first black leader of the region now known as Zimbabwe. During his reign, which lasts more than a decade, he promotes extreme anti-white views, calling himself ‘Hitler in tenfold’. Thirty years after the civil war, people continue to be injured and killed daily by land mines in Zimbabwe. One of the main tasks of the Zimbabwean army is to train skilled deminers to clean up the remains of this decades long independence battle. From 2010 on, British companies hire teams of about these Zimbabwean experts to clear the mines on the Falkland Islands –the colony that does want to stay British. Until now roughly 5%, about 1500 mines, have been removed. • Firing Line with William F. Buckley Jr. "The Question of Rhodesia"
The recent discovery of viable oil resources in the Falkland Islands Exclusive Economic Zone (EEZ) will result in drastic economic and social changes on the Falkland Islands. Despite extensive exploration over the past few decades by Shell and the Hess Corporation, until recently, no viable oil well has been drilled on the Falkland Islands. The dramatic increase in worldwide oil prices, however, has revived interest in the archipelago. In 2010, a number of companies start exploring the waters surrounding the Falklands. The most successful drilling campaign is that of the Rockhopper company. A year and a half of drilling results in seven successful wells out of ten, including three oil discoveries and three gas discoveries. 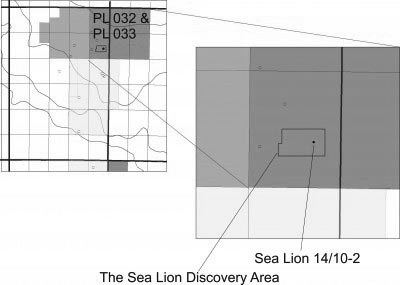 Multiple appraisal wells are also made in a field known as ‘Sea Lion’, located some 250 kilometres north of East Falkland, which is estimated to contain recoverable contingent resources of up to 242 million barrels of oil. Four exploration prospects are currently under way, despite threats by the Argentine government that any company attempting to ‘loot’ Argentina’s natural resources will face civil and criminal charges and the possibility of jail time. A rig tender has been issued to drilling contractors with the first well expected to be spudded between late 2014 and early 2015. 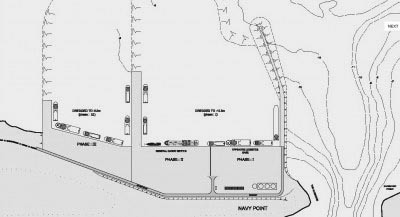 In the first quarter of 2014, a US-built temporary dock facility will be installed in Stanley in anticipation of future oil drilling activities. Offshore support vesselswill enter Stanley Harbour and moor temporarily at the dock in order to receive or backload materials and supplies. For future oil endeavours, a new deep water port at the site of Port William, just outside Stanley, is being planned along with the development of new roads, houses and other facilities. Falkland Islanders have mixed feelings on the subject of oil. Many islanders look forward to the economic benefits, but are concerned about the effects of an increasing population on the islands’ close communities. If the wells turn out to be profitable, the Falkland Islands may once again become a busy harbouring point, as it was in the 18th century. Jasmijn Visser is a Dutch artist who lives in Utrecht and Berlin, and works on the intersection of drawing, writing, history and design. She studied Visual Art & Design (2006) as well as Fine Arts at the School of the Arts Utrecht (2007), and took part in the postgraduate program at De Ateliers (2011). Visser has exhibited at Galerie Aeroplastics, Brussels, Stedelijk Museum Amsterdam, Witte de With Rotterdam, MOMA Moscow, Krasnoyarsk Biennale Museum Centre Krasnoyarsk, Kunsthal Rotterdam, Centraal Museum Utrecht, Stedelijk Museum ‘s Hertogenbosch, and Castrum Peregrini Amsterdam, a.o. She has won the Piet Bakker Prize (2006) and the Gasunie Kunstprijs (2011) and was nominated for the Prix de Rome (2009) and Sybren Hellinga Kunstpprijs (2006). Visser has resided in Borodino, Siberia (2011) as well as on the Falkland Islands (2013), doing historical research. She has realized monumental public art works for the city of Amsterdam, and the state courthouse of the city of Almelo (2013). 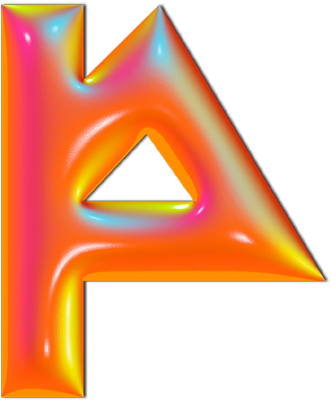 The Ultraperiferic is a programme on the relation between art and ecology, and the position of the artist in a global world in crisis. It has emerged out of a research project and an exhibition on the legacy and contemporary relevance of the work of land art artist Robert Smithson. A number of artists have been commissioned to produce new work, based on the ideas of Smithson. 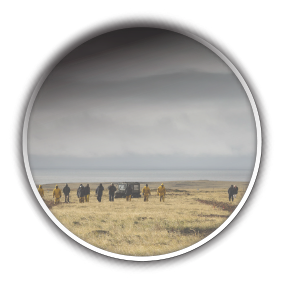 For a period of two years, these artists traveled to peripheral areas, where the dynamic interaction between humans and the landscape can be investigated. The artists have been asked to produce a piece of work to somehow define the central or peripheral qualities of the location, be it from geographical, political or social perspectives. They research the socio-political, legal, economic, psychological, historiographic and representational conditions of the site to expose and counter the mechanisms that are responsible for its current precarious condition, and possibly come up with different interpretations and ideas for land use. Partners: Land Art Contemporary, SKOR | Foundation for Art and Public Domain, Province of Drenthe, European Agricultural Fund for Rural Development: Europe investing in rural areas (LEADER), City of Coevorden, City of Emmen, Cultuurfonds BNG, and the Sanders-Ten Holte family. 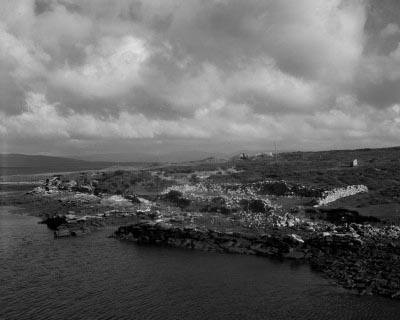 In 2013 Jasmijn Visser and photographer Peter Lipton went on an expedition to the Falkland Islands and have documented and researched every historical site on the archipelago. With this research, Visser, together with the design collective Metahaven, will create a conflict atlas, which is to be released end of 2014. The monumental conflict atlas will contain 400 maps drawn by Jasmijn Visser, as well as essay contributions and archival martial in what we envision to be an unique account of history writing. The concept and design of the atlas will be a collaboration between the artist and the designers. If you would like to support the realisation of the conflict atlas you can click the button below. The donation will be employed for the production of the atlas. 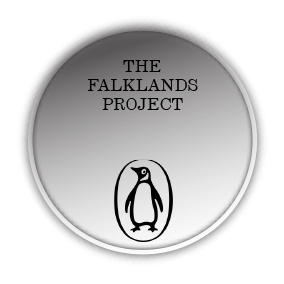 The Falklands Project is grateful for donations of any size. 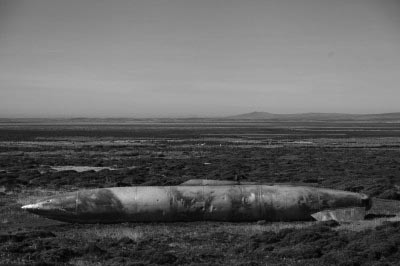 The Falklands Project is an ongoing research project by Jasmijn Visser, kindly supported by TAAK Make/Learn and Land Art Contemporary.